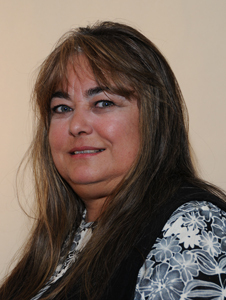 Judy Baca, M.S.W., A.C.S.W. is an Associate Professor of Social Work and joined the faculty in 1981. She received her bachelor's degree from the University of Southern Colorado in 1977 and her Master's degree from Arizona State University in 1979. Professor's Baca research interest includes Chicano Studies and health care disparities, with an emphasis on Chicano folklore and health care practices (curanderismo). She teaches classes in Chicano Studies and Social Work.